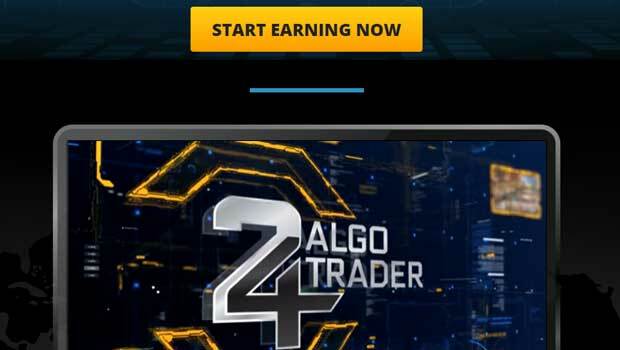 24 Algo Trader is a new binary options trading robot that will grow your accounts without any knowledge necessary. According to the sales page this product uses all the latest technology from the greatest analytical minds in the fields of finance and economics. Today I’ll be taking a closer look at the software and informing the binary options community of my findings. As is often the case, the 24 Algo Trader web-page is overly simple. There is a two-minute video that tells us this binary options software works extremely well and will help us achieve our financial goals. Yet, the video really tells us nothing at all. We are told that the software uses the latest technologies that this is never elaborate or proof. The developer wants us to believe everything he’s narrating in the video but he never offers any proof. Getting involved with a binary options investment or any investment it’s very important to have software us actually knows something about. Considering this video is all we have to judge the product on, the developer does a very poor job at providing the amount of information required to instill confidence. The problem with this testimonial is the same problem I have with the promises and claims being made, they aren’t proven. Not only that, each one of these testimonials is actually fake. The software is just being released today so they shouldn’t have testimonials yet and each one of the images is a stock image purchased online. They are not real images of traders. The trading results for 24 Algo Trader are equally as disappointing. At the bottom of the page there is a table labeled last performance and it shows the software providing one trade per day over the past few weeks. Yet, if you look closely at these results you will see that there are trades being made that don’t exist. The software is showing trades being made on the weekend when the markets are closed. Thus, it’s easy to determine that these results are fabricated, and quite poorly I may add. It’s quite clear that we should avoid the 24 Algo Trader altogether. With little to no information about binary options trading on the webpage, fabricated testimonials and falsified results statements this product cannot be trusted. Don’t make the mistake of giving them a chance. I hope that you enjoyed my review today and that you spend more time on binary today learning what works for me and the real binary options community. Right now my main focus is on to trading systems, Binary 5 and Binary Today Trader. I’ve been using these in tandem to win a very high percentage of trades while spending very little time on the computer trading. I recommend that you check them out and have a wonderful day.